Raio (Rob Weber) is a producer, musician and DJ who carries decades of experience as a dancer, percussionist, ceremonialist, and student-of-the-sacred into every set he plays. He crafts dance journeys through diverse landscapes, blending ancestral rhythms, global bass, organic tribal house, devotional chant, and whatever else the moment might call for, always with clear intention to uplift and a deep bow of gratitude to the healing power of communal ecstatic dance. 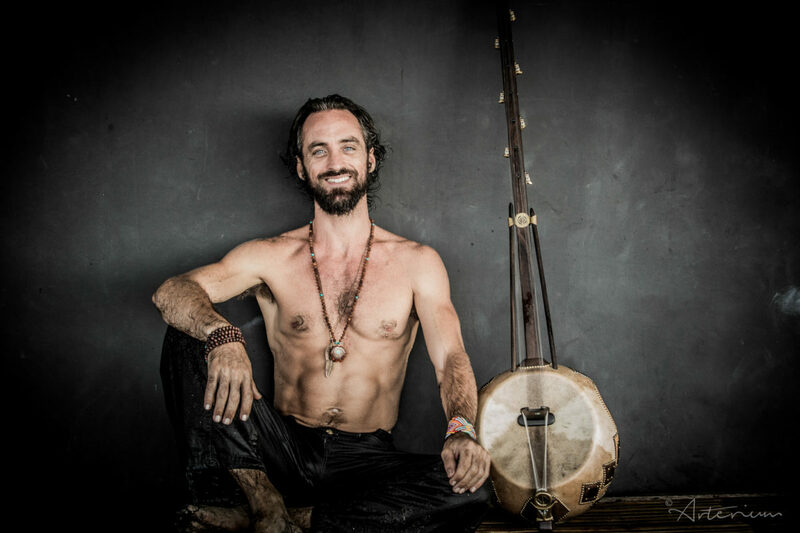 Raio is a resident DJ for the legendary dances at the Yoga Barn in Ubud, where he also leads kirtans, sacred cacao ceremonies, and sound healing journeys, and produces music in a mystic jungle studio. He’s been a student of yoga and various sacred plant medicine traditions for over 20 years. An eco-community steward and co-founder/music director of the BaliSpirit Festival, Raio has played a key role in the evolution of the conscious community on the island. In addition to holding solid space for the tribe in Bali for the last 11 years, Raio was on the road in 2016 touring in Australia and Europe, including appearances at Boom Festival, Byron Spirit Festival, Sound & Silence Festival, Bhakti Yoga Summer Festival, BaliSpirit Festival, Club Lite in Amsterdam, and various holistic venues and retreats.